Fire hose dog tug toys set “Best Defender” consists of six bite tugs. These durable dog toys are produced of hire hose, and stuffed with soft, friendly to dogs’ teeth fabric. Fire hose dog tug toys of this set have handles, very comfortable in usage. Fire hose – is a material know for its durability and strength. That’s why when you use the products properly, they will be your assistants in mastiff training for a long-long time. 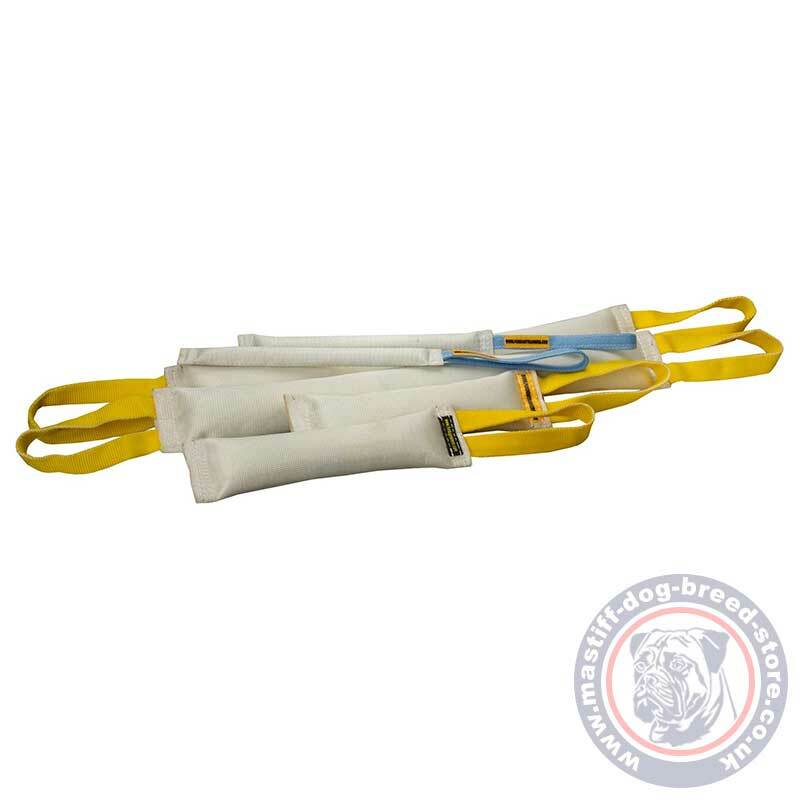 A set of fire hose dog tug toys may be used as dog training equipment, retrieve and playing item. This set will be suitable for dogs of different ages. 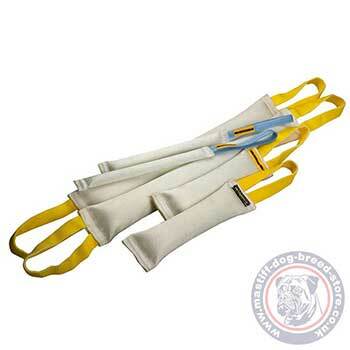 Fire hose dog tug toys will increase dog’s motivation in training or dog education games. The dog tug toys set includes 6 fire hose bite tugs for mastiff training. Buying these tug toys in a set you save about 30% !